CJRC are going to continue with the development of the juniors Xcountry over the winter period. 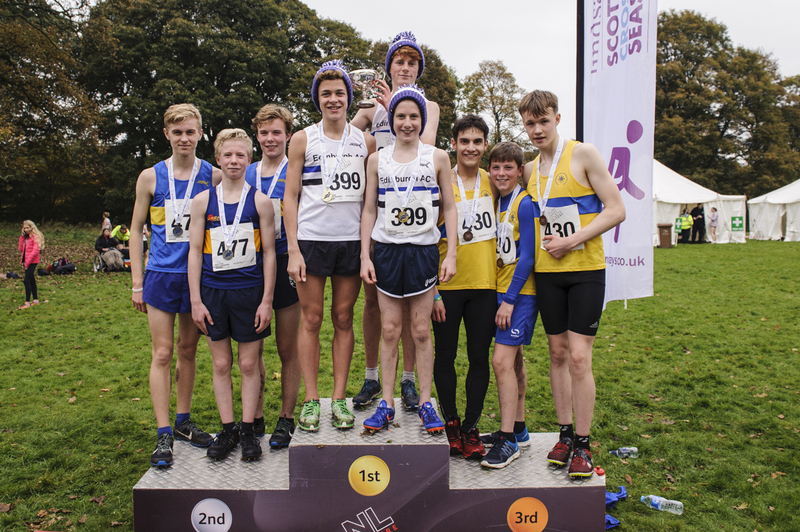 The reason being we are now our third year and the ones that have been developing over that period at Xcountry are soon to be at the age of now being able to compete in the Xcountry events held up in the Central belt. It will be based on the handicap times that have been achieved over the summer period or can be calculated from entering this event over the months. This events will held in the months off, Nov/Dec/Jan/Feb/Mar. Leading up to the Primary School Xcountry in April. We have chosen the handicap aspect, as to make it more competitive and keep the race factor element up, with having local jnr races. Everything we do at CJRC has a purpose for your development, that is why we encourage our jnr members to do more than one sport. (it will pay off if you do) Early specification off one sport is not a good thing. This event will be open to all over the age of 9years, ( jnr club members, under that age can still enter). The distance are as follows. If we get enough interest, then we can have prizes, if not then it will be just a fun thing. Further details will be announced closer to the time of the first event. In the meantime please see one of CJRc coaches to show your interest. Well done and have good run to Euan Charlwood on his debute run up at the West District Xcountry Relays this Saturday for Shettleston Harriers. He has been selected to represent his team in the first leg of the under 13years category. He could possibly be selected again for the National Xcountry relays on the 22nd October up at Cumbernauld, if he is successful at this one. Hopefully soon and if he keeps training and improving then one day he too can run and represent the West District up at Edinburgh. This is what everyone should to set their first achievement aim on, to run in the West District Xcountry races. We as coaches will try and help you achieve it. "But" like everything it will need dedication and effort. Well done again to Euan. Hopefully we ( and I know we will) will have a girl team at the West Districts then the Nationals within a year or two ( if they don't go to another club like Shettleston ( which I would advise). Because we are low on numbers on the young male side, all are ending up running for Shettleston Harriers. They have now three up and coming runners. Well done to them, and may it continue. this is to add to their West District Relays gold which was on the 8th Oct.
hopefully one day we shall see more faces from Campbeltown achieving this, especially on the girls side of the event. Here are the video's taken at the weekend of everyone's events. More importantly the great Scottish Olympians were there to watch running. it's one of the only sports at top level you can get near to and compete against. This is where they started off competing, as Callum Hawkins stating in his interview. The National Short Course race, held at the weekend. Remember that the Kilmarnock Xcountry race is on next Sunday, 13 Nov "Fun in the Mud" Ages 9 and above, entry on the day can be had. The first of the Handicap Xcountry Series is on the 20th November at the10:30 at the Meadows. Open to all Jnr members and for anyone else that is 9 years and over, that might take on the challenge this winter. Details as to the first post as to being for fun. The jolly Jingle will be incorporated into this years Xcountry handicap and that is Dec 18th. Attended the Kilmarnock race today, great wee race for the under 11yrs old. I can honestly say a few from Campbeltown Jnr running club would have done well on the day. All the west clubs were out in force in that age group, sadly because of the age group, they are not on the Power of 10 radar as off yet, so I cannot compare the result, but Violet did exceptionally well against them as of the her result. So on that info, all the coaches within the Jnr clu, I have no doubt, will continue to really have an input to producing good runners able within the club, will compete with the best clubs from the central belt. Looking forward to all competing one day. Great news, if the boys get selected after this weekends "West District Xcountry Championship" up at Ayr, then they will have a great opportunity again, to see this guy run at Edinburgh on the weekend of the 7th Jan 2017. Something to aim for this weekend and for all that are still enjoying Xcountry in the future. Cameron & Gregor have both been selected for this years race up in Edinburgh. Hopefully Euan can make it next year if he works hard as this years effort at the West districts is an eye opener for what one can acheive the following year. Also within a few years we might see some of the girls make the team. Something to strive for and aim for. Especially when you get to see the top sportsmen in our sport run. I am delighted to advise you have been selected to represent the West District at the annual fixture versus North and East Districts; congratulations! The Senior Men's and Women's races also include teams from the Scottish Universities.